Note: Due to major changes in the music business, we unexpectedly lost our ESD distrubution, leaving us stranded with few good options. 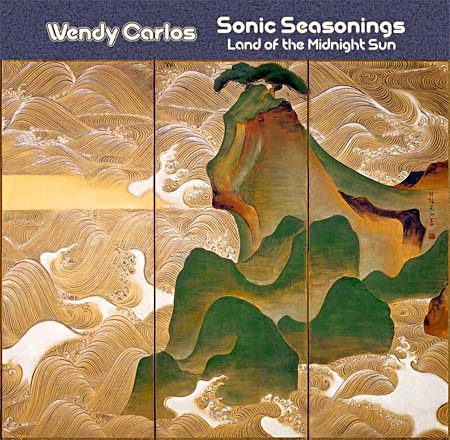 We expect to have news on a new set of releases of Wendy's albums, plus a return to regular additions on the site as soon as possible. Until our new arrangements are complete, we're leaving this page with the last updated links, which can still find copies (where available) through various sources. Meanwhile, thank you sincerely for your many concerned inquiries and patience, good friends. A ClockworkOrange and The Shining. unavailable in any form -- until now. The Shining and Disney's TRON. 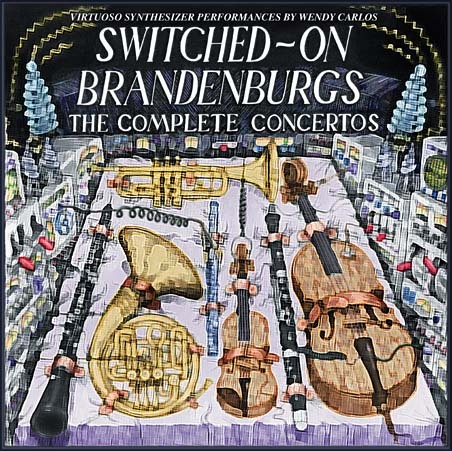 S-OB, in a new ESD CD release. created to satisfy our faithful fans. in a deluxe 20-bit edition. 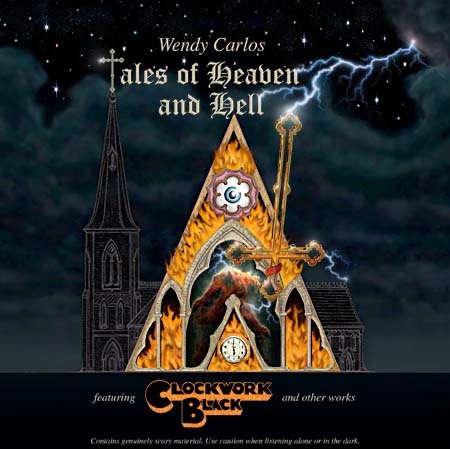 (Wendy narrates and demonstrates the inside story ofhow the music is created. complete with many bonus tracks. And check out our new filmscore CD. masters, in a deluxe 20-bit edition. A Classic, Better Than Ever! 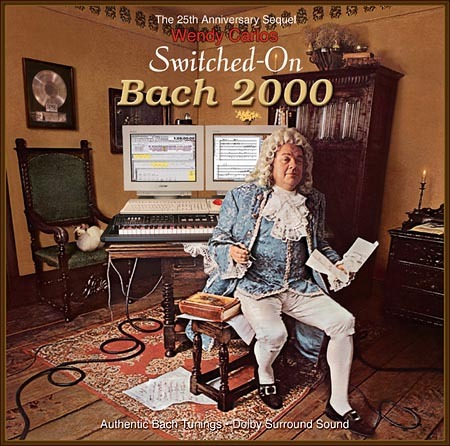 Bach & Baroque Synth Fans--the set you demanded! 20-bit audio, many lavish extras. release of a 1986 companion work. 1972 1/2" and 1/4" master tapes. Includes two newly available tracks. 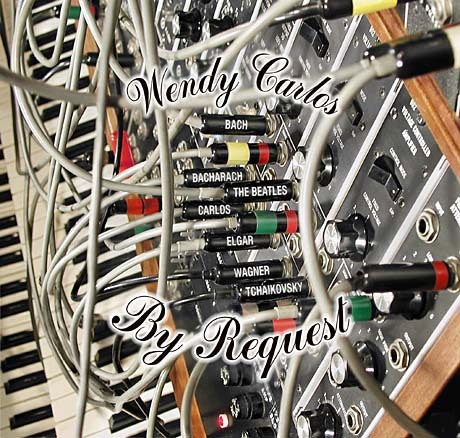 drama, including themes from CO.
To go directly to East Side Digital's page of Wendy Carlos releases, CLICK HERE. 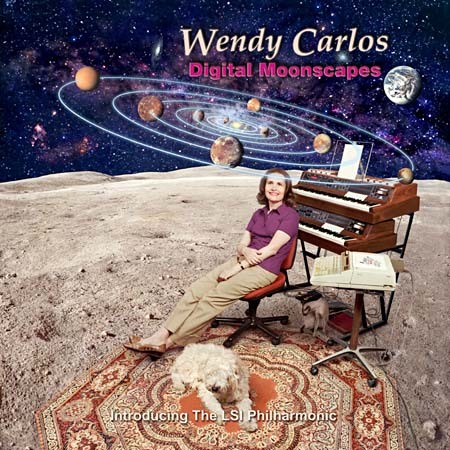 All of the above albums and audio examples are available to browse, and you can conveniently purchase albums at the Amazon webstore (this link takes you to ALL their Wendy Carlos album listings, in one place). We're linking each album to them directly above because currently Amazon provides their familiar fast service with decent discount pricing. It's easy to go directly there just by clicking on any of the small CD images to the right above. Alternatively, you may prefer to purchase in a local music store, or browse an online store of your choice. For example, you can try Barnes and Noble or Borders, (we've placed some clickable icons below for your convenience). 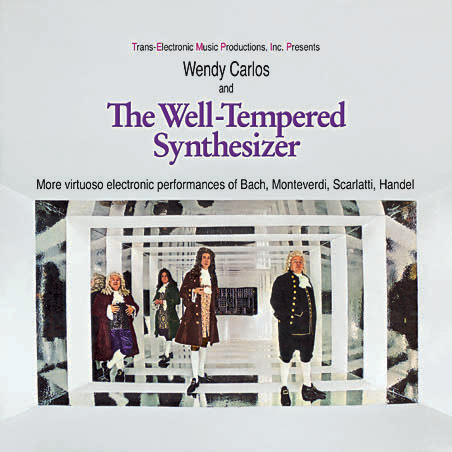 Once online type in "Wendy Carlos" and pick Classical/Popular Music and choose the album you wish. 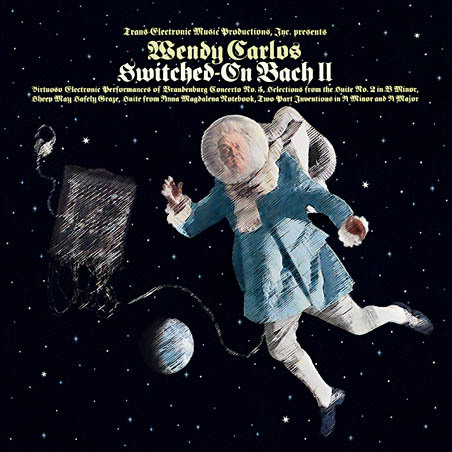 Currently some of the albums are found in the Classical bin, others in Popular or even under the Soundtrack categories (usually, if not always, the whole list comes up under: Wendy Carlos). Note that there are several imported editions (at much higher prices) near the end of the Amazon artist listings. We recommend the upper, later versions instead. For Reviews, Liner Notes, and lots of interesting Background Info, click the appropriate "Learn more about". 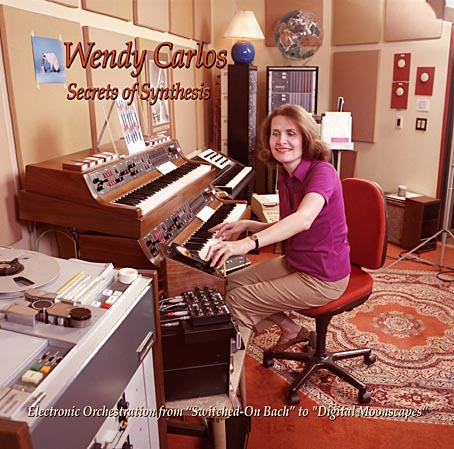 Quite a few of your questions on general topics about Wendy Carlos albums are answered on the Disc Notes page. To listen to audio examples on the above CD's, and to purchase, click one of the small CD images. A few sites allow anyone to "mount a soap-box," via reviews of widely varying quality/relevance, some very genorous, a few quite off-the-wall mean. These can be fun to read, but beware of the hit-and-run pundits, those who refuse even to reveal who it is making the pronouncments. The artist biographies at these web vendors are often sketchy and dated, and some contain notable errors. Hey, what they do best is to sell CD's at prices lower than most record stores -- approach the rest with a wink of skepticism. An original, improbable pairing of artists. 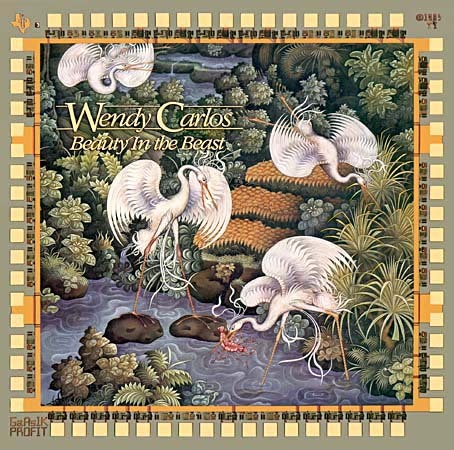 The CD included an original Carnival of the Animals, pt. 2. The result is musical humor in a very fresh new way. Learn more about this album. Recently out of print, according to Sony Music (stay tuned). First CD release was through Disney, in early 2002, including many never-before released bonust tracks! Read more about it here! The Shining - Most of the score has never been released, and was not included in the final film version. So to those of you who have heard or like the soundtrack, to quote Jolson: "You ain't heard nothin' yet!" Most of the film was scored (as is Stanley's habit) using "needle drops" (generally, selections from commercial recordings -- check the film credits for a list, as this may be the music you're responding to). We provided the film's title music, the dark music for family's drive up the mountain, and several textures within the film -- that's all that Kubrick used from our hours of tracks. A long, familiar story. The textures were not much to hear by themselves, and were wisely not included on the original soundtrack LP (Warner Bros. LP 3449). As for all the fine music that we wrote but wasn't used, some of it it sits in a "legal limbo", while other cues should make it into a forthcoming ESD Collection of my film score music. But it will have to wait until the more straightforward CD releases are completed. Good news about the score to The Shining: With the 2005 release of our newest two albums, Rediscovering Lost Scores, volume one and volume two, most of our score for The Shining, much of it unavailable until now, can be heard in Hi-D sound. The first volume includes the earlier studio tracks created for Kubrick from 1978 through late 1979. 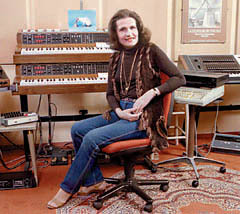 Volume two includes many orchestral tracks, and several tracks which mix live and electroacoustic sounds, created as the project wound down in early 1980. As the notes explain, some of these tracks will be very familiar to those who know the film, but in more richly orchestrated versions than were finally chosen. And others depict a lost worlds of possibilities for the film left unexplored on its release. READ MORE ALSO HERE. 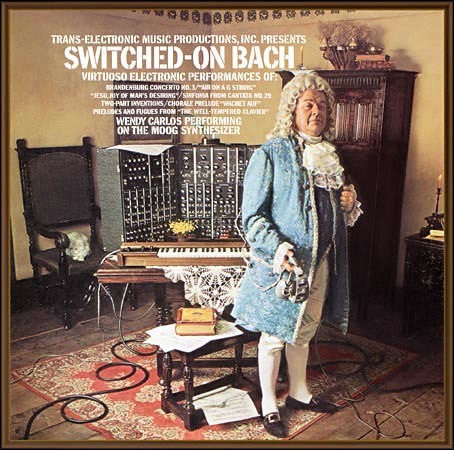 Currently Unavailable Music - There were a couple of volumes of Bach's Greatest Hits, which CBS assembled on their own during my years there, and a few other similar collections, (we learned of these years later, and have never seen or heard them). Two of my earliest compositions from graduate student days at Columbia University were included on an early LP from Turnabout, TV 34004S, called simply: "Electronic Music". One of these, a composition for live piano and tape, plus another related work, were included in new performances by Phillip Ramey on the 1975 By Request album (available in a new Hi-D remastering). 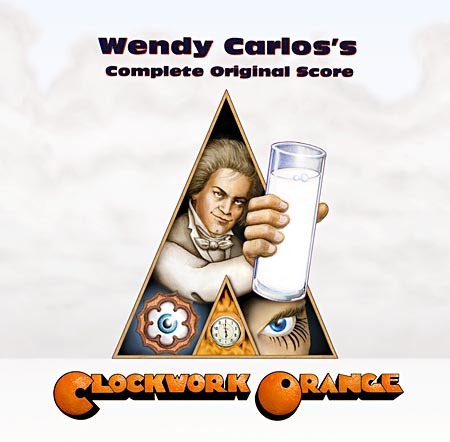 Good news about the score to A Clockwork Orange: With the 2005 release of our newest two albums, Rediscovering Lost Scores, volume one, several tracks for Clockwork Orange, unavailable until now, can be heard in Hi-D sound. During the "Quintessential Archeomusicology" portion of assembling these two volumes several older tapes were discovered to contain CO tracks which had been mislabeled, and were overlooked when we put together our definitive soundtrack collection of music for the film. We were pleased to discover three tracks which had not been heard since 1971 and they are included here, available for the first time. READ MORE. Tron - Was available for the first time on CD on a 2002 Disney release (additional information above). An LP of the music score was released with the film in 1982 (LP on CBS 37782, and cassettes). That sold out in the mid 80's. 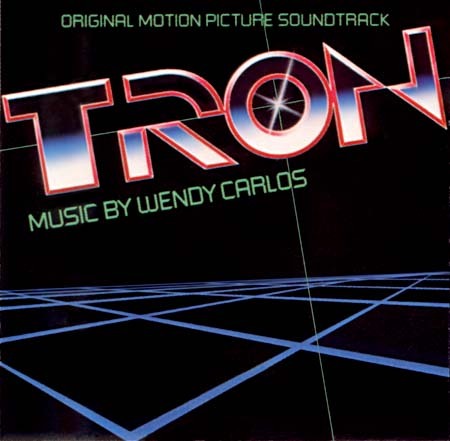 A deluxe letterboxed LaserDisk of Tron came out in 1996, Disney 6141 CS, which contained some of the deleted music restored in a Supplemental Section. (I made special mixes for them as a favor.) This edition formed the basis for the new 2002 DVD of the film, which includes those restored music tracks as well. While preparing the new bonus mixes I discovered there was a major problem with the master tapes -- they had become unplayable! A few tracks were transferred after hours of struggle, the rest would not play at all, or even rewind! The urathane-based binder had absorbed atmospheric moisture and turned into glue -- phooey! After searching for the most authoritative recommendations (thank you, Eddie Ciletti! ), we reported on these pages some good news, on Go Bake a Tape, or Tron Lives! After slowly baking each tape in a carefully adjusted and timed dehydrator, the masters temporarily returned to good playable condition, I made Hi-D transfers right away, and they sound wonderful. There things sat for the better part of three frustrating years (encouraging many poor quality pirate editions to "fill the demand") until Disney's 2002 decision to release a new CD of the score at along with the DVD edition of the film. Read more of the story HERE. 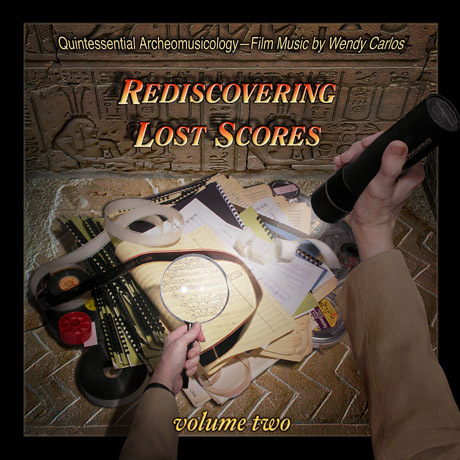 Good news about the score to TRON: With the 2005 release of our newest two albums, Rediscovering Lost Scores, volume two, several tracks for TRON, unavailable until now, can be heard in Hi-D sound. As the notes explain, some of these final master tracks were dropped late in the production of the film for extra-musical reasons. And others were test tracks which developed into the final versions heard on the soundtrack. While the Disney CD seems to have become unavailable for the moment (we're looking into it), this new album contains several favorite themes and moods from the film in arrangements which have been unavailable before now. READ MORE. A decent library may have old issues of record guides that would help you track down that title, company and number that haunts you. I know how it is, and have yet to find every movie, recording, book or magazine article that I think back on fondly years later. As for some past treasures that I HAVE managed to find (brace yourself), the worst case is that the memory is often much better than the reality. Ooff! But sometimes you do find a lost "gem" or two. Good hunting to you!